Since fishing is a sport that can be enjoyed throughout a lifetime, it’s a good idea to introduce youngsters to its ways as young as possible. The exact age depends on the child's attention span and coordination skills. 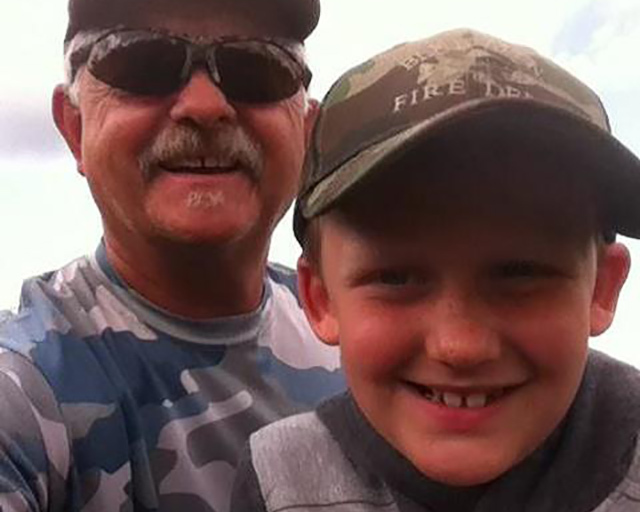 With this in mind, I decided to take my 7-year-old grandson Hunter out fishing with me for the first time. We went down to the camp on Millers Lake in Nova Scotia to spend the night and have some fun. That evening, I took Hunter to a small brook thinking he might hook some small trout. Now don't for one minute think you’re going to do some fishing. You’re there to teach them, and will be too busy putting on bait, bug spray, and undoing tangles. Hunter hooked one very small trout that got off before he could land him. After a little while I could see he was losing interest. Parents, camp counselors, and teachers recommend gearing the length of an outing to a child's attention span. Look for the first signs of restlessness and call it a day before boredom sets in. I took Hunter back to the camp for supper and a few games of CandyLand, followed by fireworks over the lake. The next morning I took Hunter to the lake where I knew he would hook into some bait stealing perch. Nothing teaches like success, and a youngster’s enthusiasm for fishing is in direct proportion to the number of fish that they catch. The size of the fish or the fight it puts up doesn't matter. What’s important is the number of times the bobber jiggles, and even more important is the number of fish that are landed. Hunter had a great time hooking those small perch - the look on his face was priceless. Don't forget you’re the role model, so demonstrate and lecture about what constitutes a good fisherman. Qualities that you’d like to see in a young fisherman – patience, awareness of surroundings, respect for nature, courtesy to other anglers, knowledge and observance of rules and laws, and safety – are learned by copying how you behave. I believe it’s true that youngsters who participate in sports have very little time and less inclination to become involved in self-destructive activities. 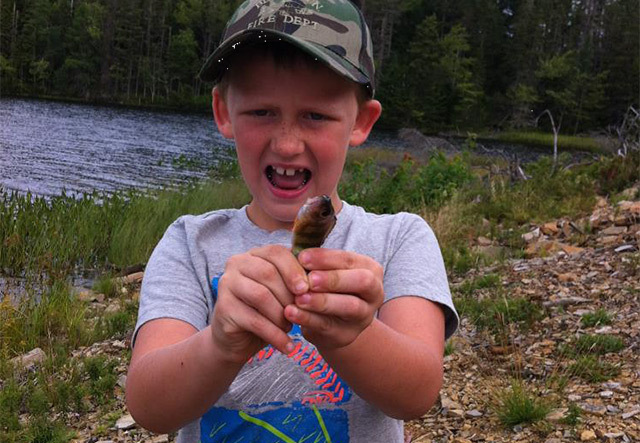 Fishing is no exception, so take them out and teach them this great sport. After Hunter started throwing rocks instead of fishing, I showed him how to skip rocks. There will be plenty of time for him to learn this fishing thing. I can't wait to see his face when he hooks into the big boys...FISH-ON!